When I found the chance to work on a review of Kamik Boots - I was quite excited. With a family of 5 purchasing new winter boots each year can be a daunting and often expensive task. Finding not only boots that will Last all winter, but also be cute and fun to wear while holding up to the wear and tear of three rambunctious and active kiddos is one that I do not usually look forward to each Fall season. With Kamik, all my dread was for nothing - When the HUGE box arrived with a pair of boots for each member of my family I was so excited - I just could not wait to open it and start trying them out - even in the 75 degree weather! 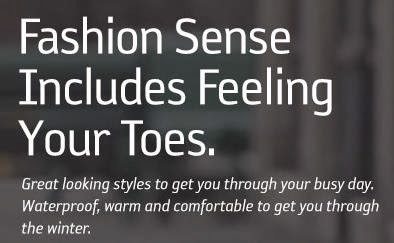 At Kamik you get fashionable style without losing the feeling in your toes. Comfort, warmth, waterproof and adorable too! My 9 year old daughter chose the Snowbank2 in aqua, My 5 year old chose these adorable Snowgypsy boots with the faux fur in fuchsia, for my 12 year old son, we received Greenbay4 in black, for my husband, a great pair of hunting boots ~ Snowcliff in Gaucho, and last but not least - for me - the Mom in the family ~ a fun pair of Encore in light grey. My boots are cute and mostly comfortable. I am very picky about shoes and boots as my ankles are bony and many times boots rub those exposed areas and cause soreness and problems for me. These boots from Kamik fit great and do not rub my usual spots - they are however a little uncomfortable in at the top of the back/above the heel area for me - but not so much that I can't walk in them - otherwise they keep my feet warm and dry and are great for walking my little one to school each afternoon. The boots have a faux fur lining to keep the cold wind out of my boot and away from my feet - they are thick and warm and great for winter weather! My husband wasn't sure he would like his boots the first time he put them one. They were heavy and uncomfortable at first - until he wore them out hunting - after walking on uneven ground for hours, he told me they were Great boots and he is so glad I got them for him! They kept his feet warm and dry and were much more comfortable than he thought they would be. Great for Fall/Winter hunting, camping or shovelling snow in! We can't wait for more snow so we can keep wearing our Kamik boots and keep our tootsies toasty and dry! Check out Kamik for your winter Boot and Shoe needs - they carry more than just these boots I've mentioned, they also have: Spring/Summer Sandals, Rain Boots, replacement liners for boots and more - There is even a Kid's Club and a Recycling program to change those old, outgrown, worn out boots into something new! Kamik brand footwear can be found in many of my favorite local stores - and I'm sure there is a store near you that carries this wonderful brand of footwear for the whole family. So next time you are shopping for summer or winter shoes, boots, sandals - or just need a new insert for your existing boots - look for Kamik! Check out all the neat photos on Pinterest of the different shoes/boots from stores that carry Kamik! I have to take a look at the website Kamik and see what they have to offer for boots for my family. I was just talking today about needing new boots! Thanks for posting about this awesome website. All the boots in this post look so warm and comfortable!